The Food and Drug Administration ordered the mandatory recall Tuesday of kratom products distributed by one company that may be contaminated with salmonella. The FDA said it’s the first time it has used its mandatory recall power for a food product after first trying to get the company to voluntarily take the products back. The agency has been criticized for years by consumer advocates and some members of Congress who say it moves too slowly to recall potentially contaminated foods. 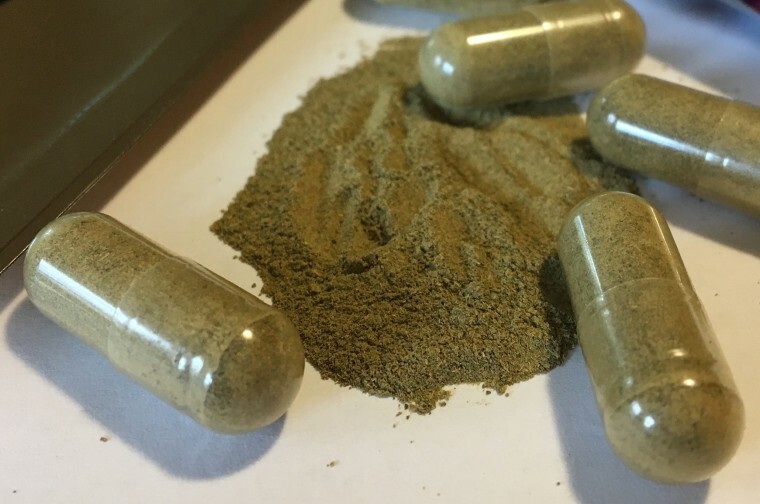 Kratom is a plant supplement sold to treat pain, to help people stop using opioids or as a stimulant. The FDA has been warning against its use in general and later issued a large voluntary recall notice after some samples were found to be contaminated with salmonella and sickened 87 people. “As of April 2, 2018, the FDA and state partners have tested multiple kratom products, and 26 different products were positive for Salmonella,” it said. Tuesday’s mandatory recall affects Triangle Pharmanaturals, which bills itself as a consultant and packager of supplement products. “The agency took this action after the company failed to cooperate with the FDA’s request to conduct a voluntary recall,” the FDA said in a statement. Two samples of products made by Triangle and sold in Oregon tested positive for salmonella, the FDA said. “The FDA is advising consumers to discard the products that are part of the mandatory recall, which include, but are not limited to: Raw Form Organics Maeng Da Kratom Emerald Green, Raw Form Organics Maeng Da Kratom Ivory White, and Raw Form Organics Maeng Da Kratom Ruby Red,” it said. “This action is based on the imminent health risk posed by the contamination of this product with salmonella, and the refusal of this company to voluntarily act to protect its customers and issue a recall, despite our repeated requests and actions,” FDA Commissioner Dr. Scott Gottlieb said in a statement. Triangle did not immediately respond to a request for comment. The Office of Inspector General (OIG) at the Health and Human Services Department said in 2016 that the FDA moved too slowly in food recalls. The 2011 FDA Food Safety Modernization Act gave the FDA powers to force recalls for the first time, but the agency has been reluctant to move too aggressively, preferring to persuade companies to recall troublesome products voluntarily. Also on Tuesday, the FDA said Houston-based NutriZone had recalled four kratom products because they had the potential to be contaminated: Pain Out Maeng Da, Pain Out Thai, Pain Out Malay and Nirvanio Green Malay. "The products were sold in Pennsylvania, Oklahoma, Washington, Missouri, Florida, Mississippi, California and Texas," the FDA said.